That is pretty much what I did last week, when I drove to the Northern tip of the UAE during a moonless night, looking for a place with little or no light pollution. The aim was to photograph the Milky Way, a galaxy which part of our Solar system and using the somewhat clearer air at altitudes of more than 1500m. Even though, the initial place on top of a mountain looked very promising just before sunset, it was all spoiled by a single light which automatically came on as it got dark... Yes, it played with the idea of throwing a stone! After trying some long exposures, I eventually started coming down the steep gravel road around midnight and did find an interesting place which was looking down into the valley along a winding mountain road. The image consist of two different exposures; one for the foreground and a second for the background, which after extensive post-processing in Photoshop brought out the Milky Way. I need to highlight that even though the editing pushed it further than what I normally do, no pixels were added; whatever ones sees in the final image, was captured on the great Fujifilm X-T1 sensor in these two images! As this was my first attempt in capturing the Milky Way, I must give credit to Kenneth Brandon who made an excellent Youtube Photoshop tutorial titled "How to edit the Milky Way". Although not perfect, I'm pretty excited about the result above. I also would like to give a plug to a just released Craft and Vision eBook "Nightscape" written by David Kingham. Ironically I only picked it up the day "after" I got back from the trip! I'm sure it will come in very handy, after the Summer here in Dubai, when clearer skies will want me to do more of the above! More images of the night sky shot in the UAE can be found here. 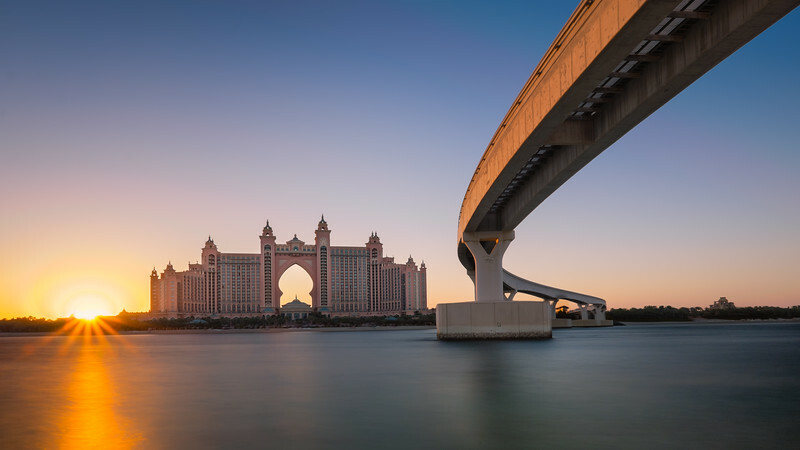 Atlantis, The Palm, is a five star hotel on the Palm Jumeirah; an artificial island of reclaimed land in Dubai. 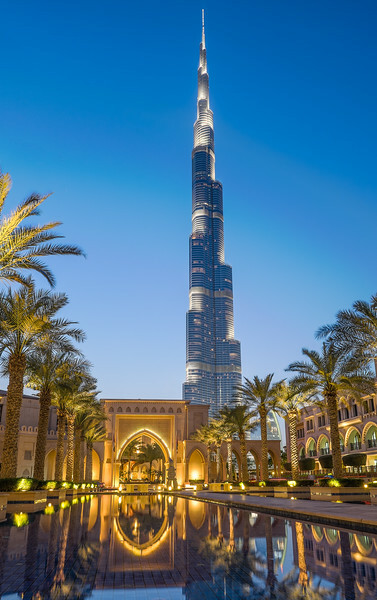 The hotel which opened in September 2008, has quickly become another landmark in Dubai beside the Burj al Arab and the +800 meter high Burj Khalifa. Inspired by its sister hotel in Nassau (Bahamas), its is Dubai's largest hotel, having total of 1500 rooms. Until recently I had not been able to photograph this enormous 46ha (100 acres) resort from a good viewpoint. End of last week, I managed to talk myself into a construction area, where I finally managed to shoot this Architectural giant. I used a 10 stop Neutral density filter to soften the water. Editing was done by converting to a 32 bit HDR file and also doing some classic digital blending. On the right, one can see the Palm Jumeirah monorail, connecting the trunk of the Palm with the Atlantis hotel. Eventually the mono-rail should connect with the Dubai Metro and new Tram system. More images of the Atlantis hotel can be found here. 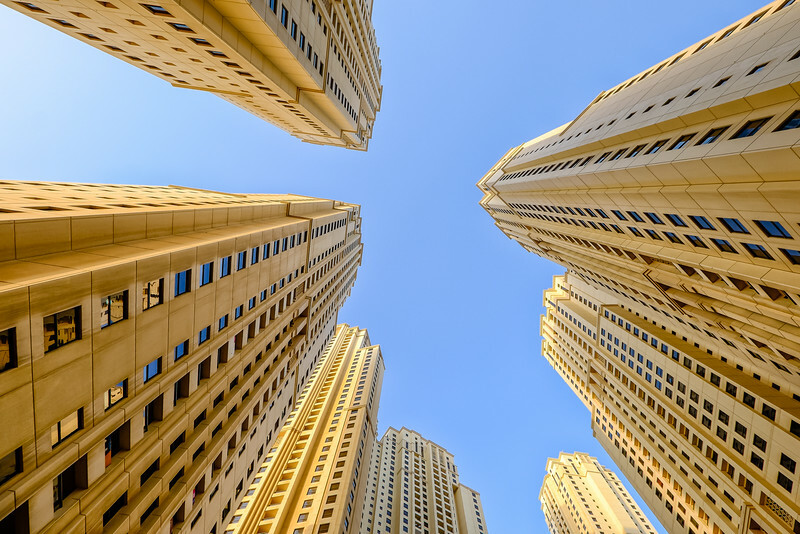 There is no question about the fact that Dubai has and still is, being build with the help of more than half a million blue collar labours from South-East Asia. These people from countries like India, Pakistan, Bangladesh and Sri Lanka, mostly live in company provided accommodation, often referred to as labour camps; three to four story buildings packed with shared bedrooms. Several years ago, there was a lot of critique about the bad conditions some of these people were living in. Television documentaries made by the BBC and others went around the world like a wildfires and obviously gave Dubai a bad image. I've been told that the Government is working hard to improve the living conditions and the application of the existing labor rules. 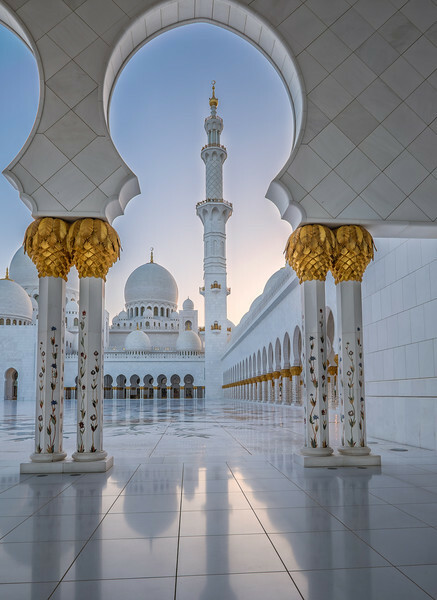 Looking to photograph the people living in these places, I connected through social media with Fahad Bhatti; a Dubai based Documentary photographer who's originally from Pakistan. 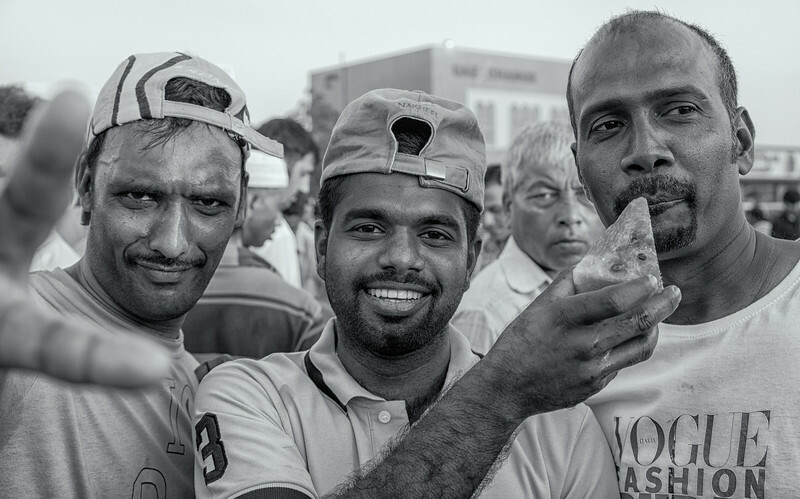 Having spent most of his life in the UAE, Fahad recently shared some of his images made in Sonapur; a large area packed with labour camps on the Sharjah/Dubai border around a cemetery; rumour has it that Sonapur (Hindi for City of Gold) presently houses over 300.000 people (estimate). Last Friday, I managed to shoot with Fahad together at Sonapur. Likely the start of a new Personal Photography Project; "Those who build Dubai"! I would like to highlight that the new project is all about the people themselves and not about the negativity of the labour-camps itself ; trying to bring a brighter and more positive side to the story. Especially on Fridays (the only free day for the workers), Sonapur becomes a very lively place; very different to the rest of Dubai it is buzzing with people. A 2 min slideshow with some of my strongest images of the project so far, can be found below. 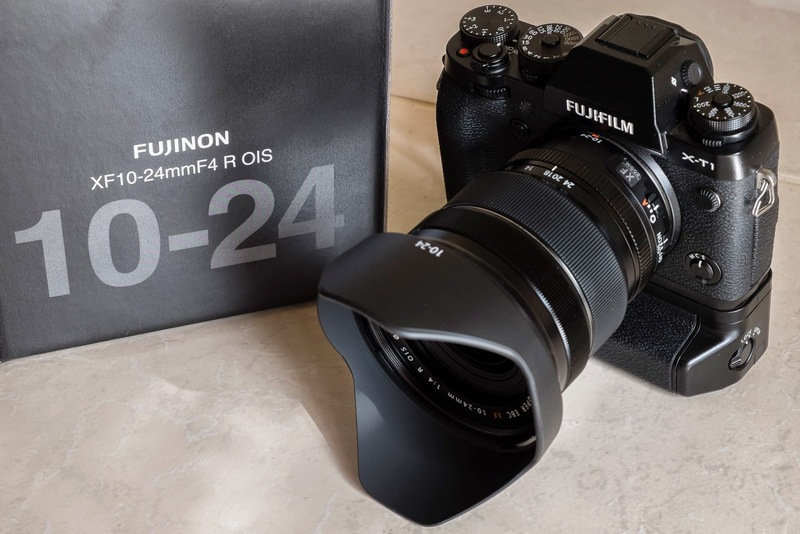 As a large part of my photography happens on the wider end of the focal lengths, I was excited when Fujifilm announced the release of their new Fujinon XF 10-24mm f4 lens earlier this year. Even though I do have the ultra sharp XF 14mm 2.8 lens, I've been on the lookout for a wider X-series lens for some time now. 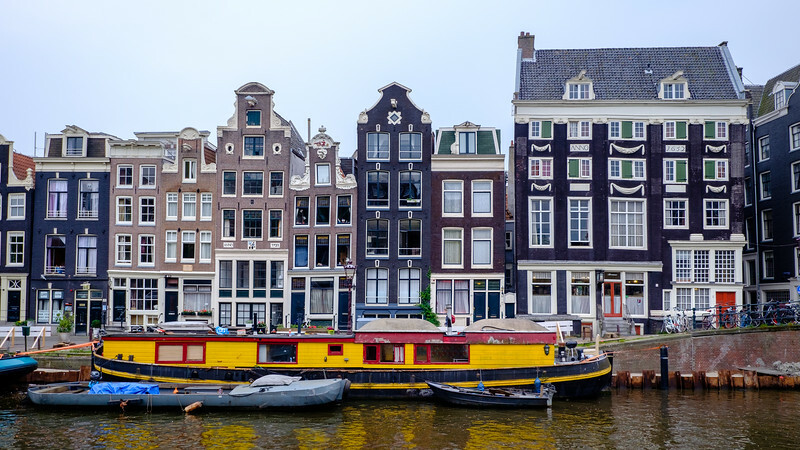 While Fujifilm Middle East was kind enough to borrow me a production model of the 10-24mm lens, I was able to test it over a two week period in places like Amsterdam, New York, Abu Dhabi and of course in and around Dubai. Even though slightly larger than what I expected, mounted on the new battery grip equipped Fujifilm X-T1, the lens felt perfectly balanced. As all X-series cameras have 1.5 crop sensor, the full frame equivalent of this lens becomes 15-36mm; clearly bread and butter for architectural and landscape photographers. You probably know that I've always been a fan of super wide angle architectural shots of high-rise buildings, so was no surprise that the image below was my very first frame with the new lens! 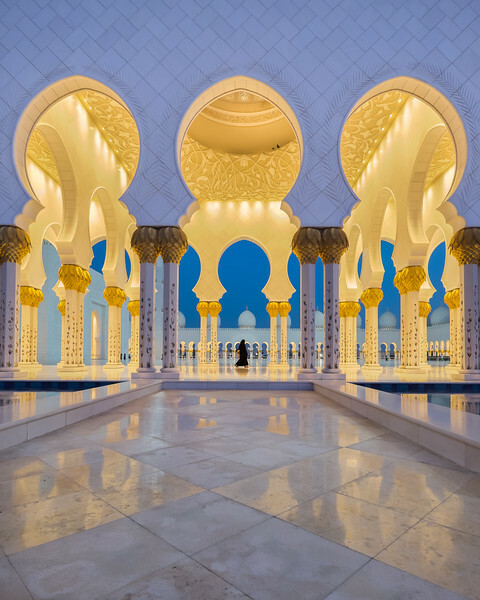 Needless to say that at 10mm (15mm full frame), there is a some perspective distortion, which is 100% expected at these wide focal ranges and contributes even more to the dramatic effect. What is noticeable, is how sharp the lens remains to the corners of the image. 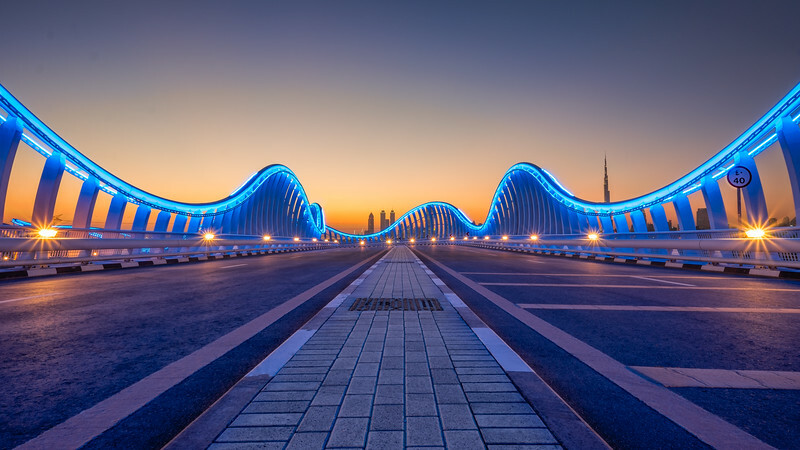 Clearly noticeable in this image of the Meydan bridge in Dubai below. 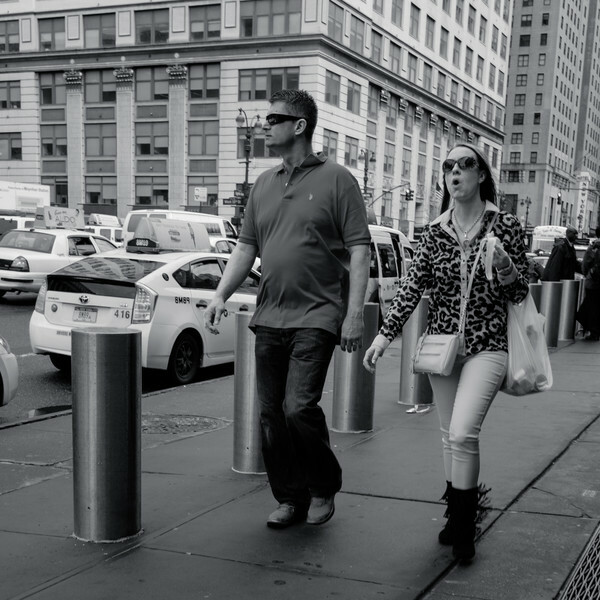 Even though there are better lenses for "Street photography" (23mm or 27mm to name two), the focus and aperture is fast enough to click the occasional street photograph like this one made in NYC. 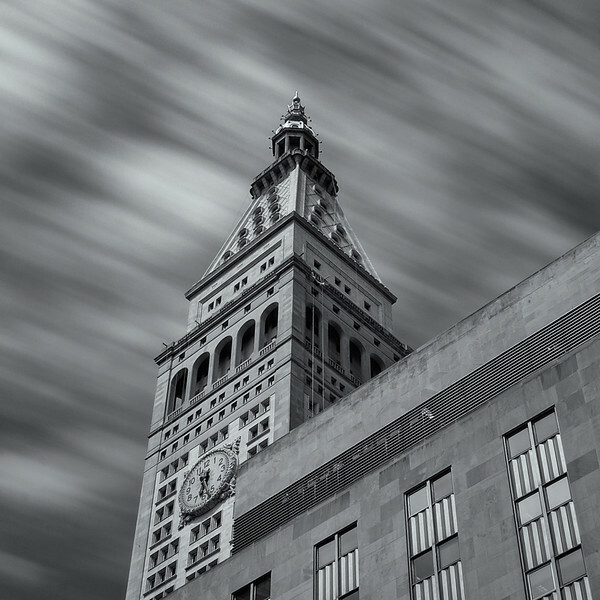 How does it compare to the 14mm 2.8 ? Obviously having a zoom lens can be beneficial when shooting in a limited space like the flight-deck of the Airbus A380 I fly for a living. The fact that the 10-24 is "only an f4" lens, is no big deal for me, especially since the OIS (Optical Image Stabilisation) largely compensates for the loss of one stop of light compared to the 14mm 2.8. I was able to shoot handheld at shutter speeds of 1/5s without any camera shake. On the other hand, because we are talking wide angle lenses here, using the larger aperture to throw the background out of focus is close to impossible anyway... So the difference of the aperture between the two wide-angles is a draw! Without going into scientific lens testing, I would say that the overall IQ (image quality) of the 14mm prime is slightly better than the 10-24 at 14mm; especially when shooting at f4. Having said this, this does not mean the IQ on the 10-24 is inferior, only that the 14mm 2.8 is exceptionally good! Lastly, as the form factor of the 14mm prime lens is significantly smaller than the new wide-angle zoom, the 14mm definitively has its own place and will probably remain to do so in the future. One of my Photographic New Years resolutions was doing more Long Exposure photography work this year and I feel this lens will be the perfect candidate for the job! I picked up a new 10 stop Tiffen ND screw on filter at B&H. For the ones that don't know B&H is the worlds "largest camera store in the world"! 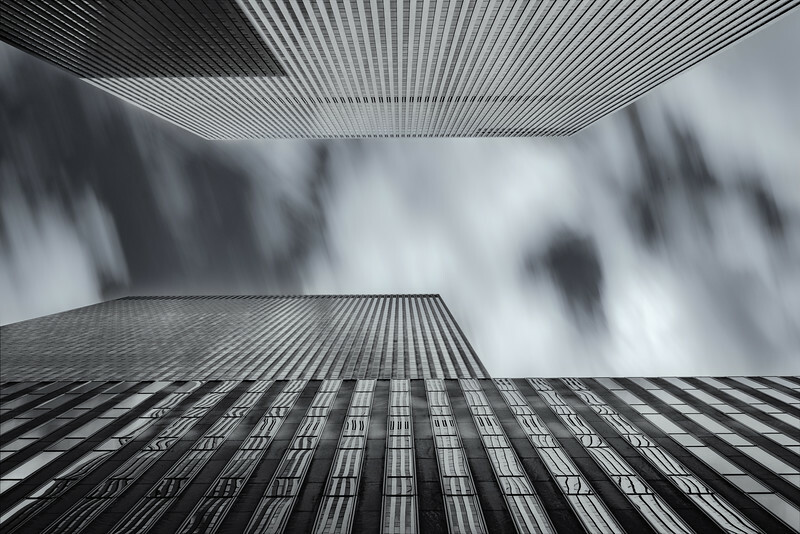 Some of the Architectural long exposure images shot in New York can be found below. Something one needs to consider when buying neutral density or polariser filters is obviously the diameter of the lens. Right now there is unfortunately a bit of variety in my Fuji lens arsenal, the XF 18-55mm and 14mm have a 58mm diameter, while the XF 55-200 lens has a 62mm diameter and the new 10-24 has an even larger 72mm! Even though, I picked up a step-down ring that will take my larger 72mm filters and downsize it to 58 and 62mm, I hope Fujifilm will eventually limit the lens diameters to a maximum of three! In the past all Fujinon constant aperture lenses had aperture markings on the aperture ring. As I fully understand why this is not possible on a variable aperture zoom like the 18-55 or 55-200, I don't see why this wasn't done here! Maybe I'm missing something. If I am, please let me know! Second disappointment is the fact that the lens is not "weather sealed". As this lens came out together with the weather sealed X-T1 body and as this is really a typical lens to take out in the elements, I expected this be different. Especially at a 1000USD price point! Will I buy the 10-24? Short answer is YES! I ordered one the day I gave Fujifilm Middle East their test lens back! As I'm especially interested in a wider focal range than 14mm, this is pretty much the only way to go! Photographing the worlds tallest building, the 829m Burj Khalifa in Dubai, can be a bit of a challenge... Lets call it the ultimate test for the new Fujifilm XF 10-24mm f4 R OIS lens! Doing so from the entrance of "The Palace Downtown hotel" with its water features in the foreground, makes for an interesting perspective. More images of the Burj Khalifa can be found here.